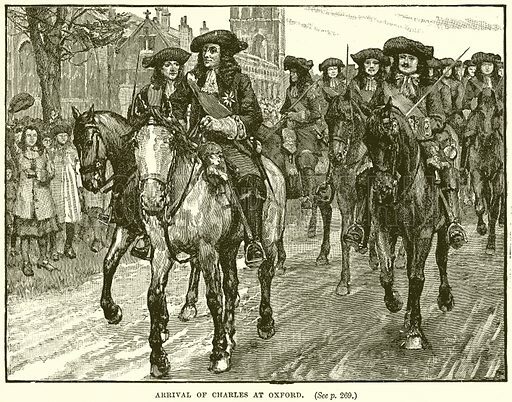 The best pictures of Charles I in the Royalist city of Oxford are striking images of the army’s confident arrival and the king’s nocturnal flight. 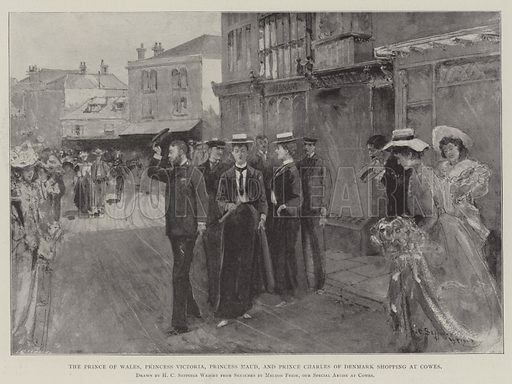 The first picture shows the King’s arrival in Oxford. 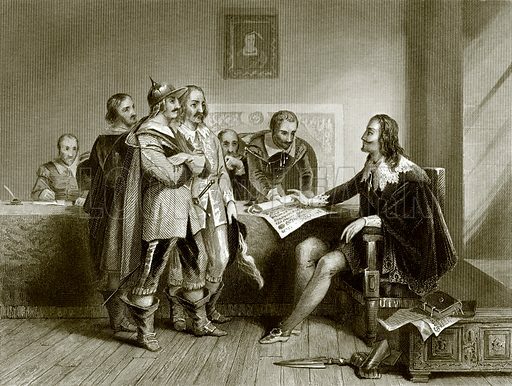 The second picture shows the King’s rejection of Parliamentarian terms. 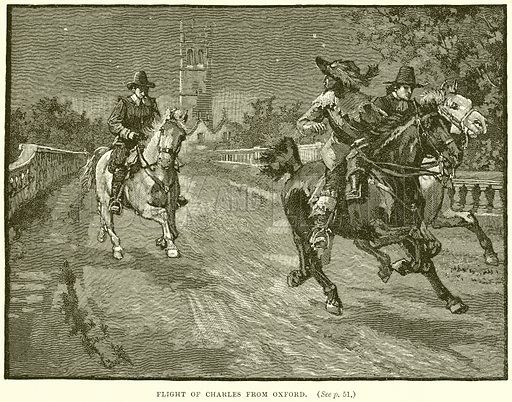 The third picture shows Charles I’s escape from Oxford. 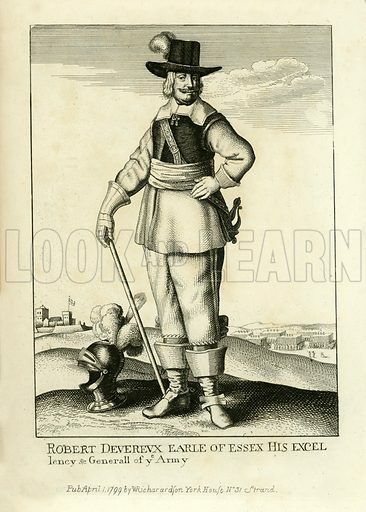 Many more pictures of the English Civil War can be found at the Look and Learn picture library. The best pictures of the Battle of Newbury are striking images of the first major Royalist defeat in the Civil War. The first picture shows the Royalist camp. 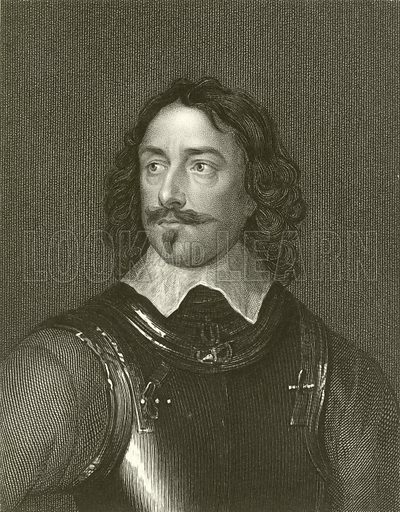 The second picture shows Sir Philip Stapleton, who commanded the left wing of the Parliamentarian army in the battle. 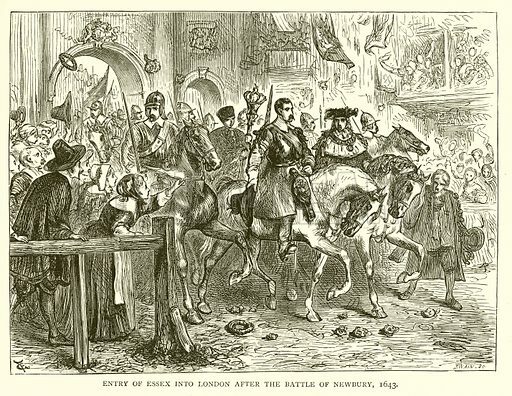 The third picture shows Essex returning to London after the battle. 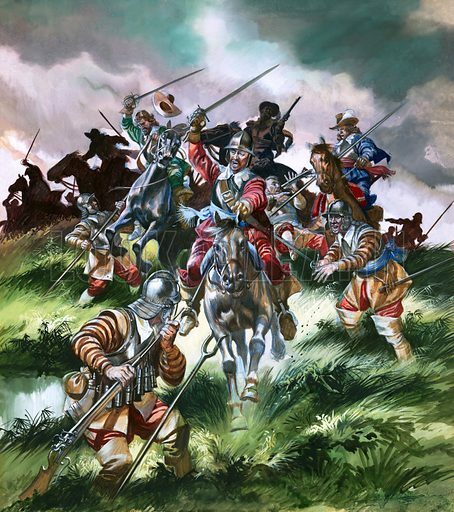 Many more pictures of English battles can be found at the Look and Learn picture library. 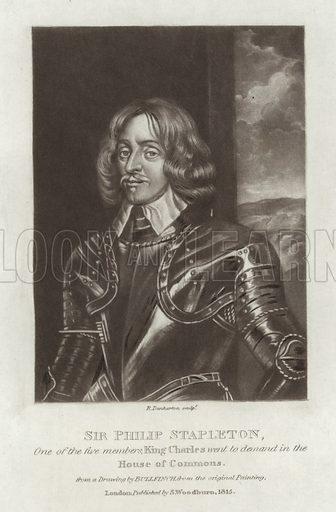 The best pictures of Robert Devereux, 3rd Earl of Essex are striking images of the courtier and Parliamentarian whose reluctance to crush the king at Edgehill led to a prolonged Civil War. The first picture shows Essex in gleaming armour. 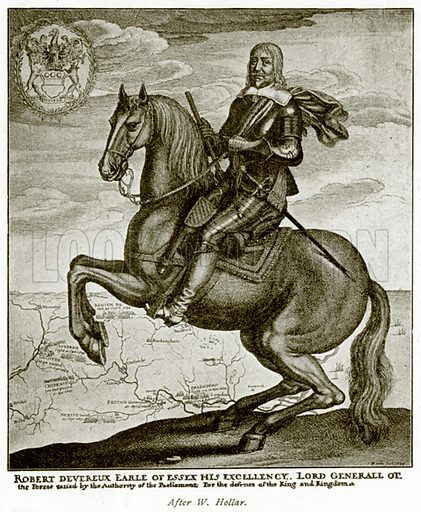 The second picture shows a fine contemporary equestrian portrait. The third picture shows a full length portrait. 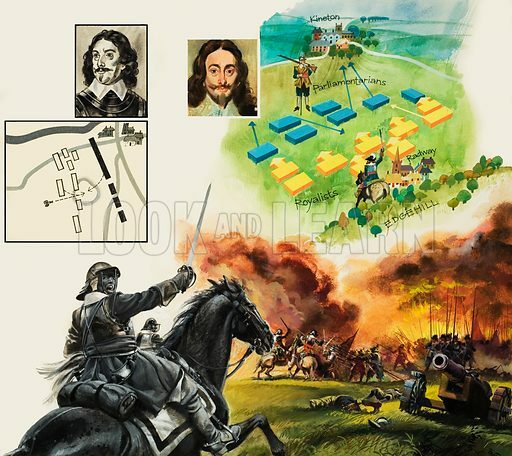 The best pictures of the Battle of Edgehill are dramatic images of the first battle of the English Civil War. The first picture shows the battle. The second picture shows the battle and the battle plan. 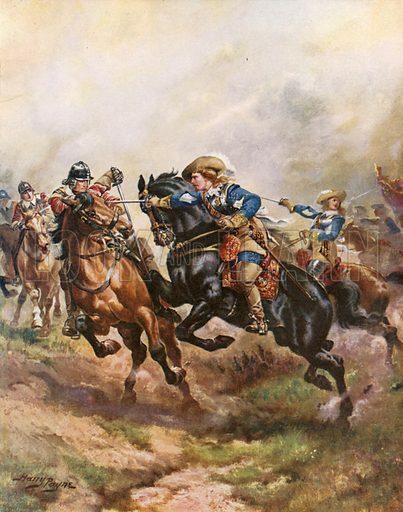 The third picture shows Prince Rupert’s cavalry charge at the Battle of Edgehill. 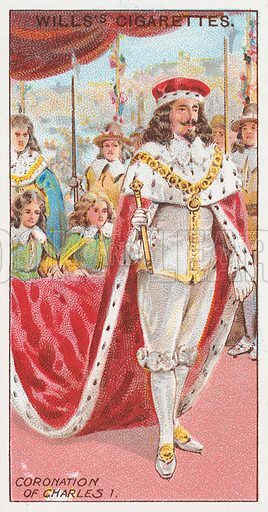 The best pictures of the Coronation of Charles I are striking images of the unfortunate king twenty-three years almost to the day before his execution. 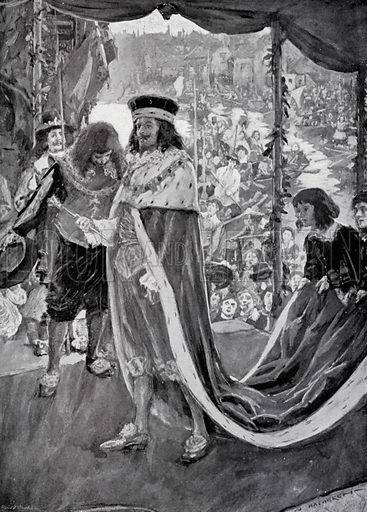 The first picture shows the King on his way to the Abbey. 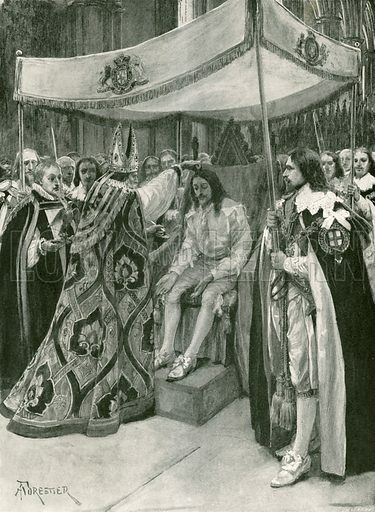 The second picture shows the sacred anointing of Charles I. 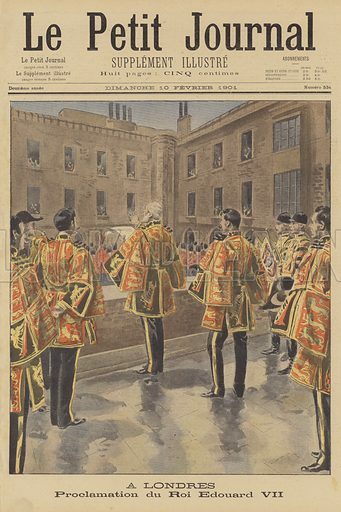 The third picture shows a colourful cigarette card image of the Coronation. 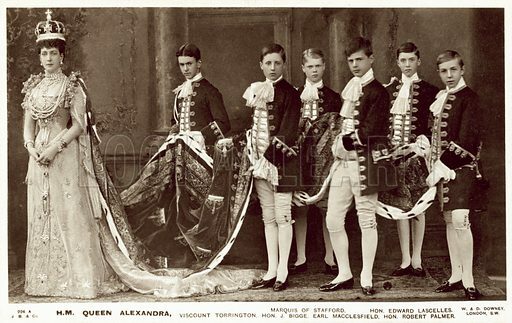 Many more pictures of English royalty can be found at the Look and Learn picture library. 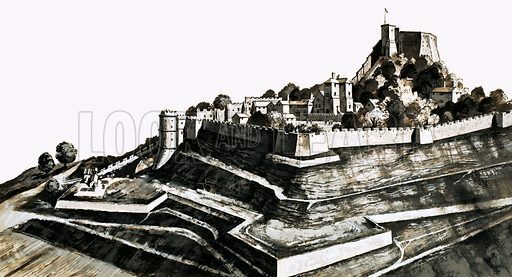 The best pictures of Carisbrooke Castle are picturesque images of the island stronghold and important scenes from its history. The first picture shows the castle. 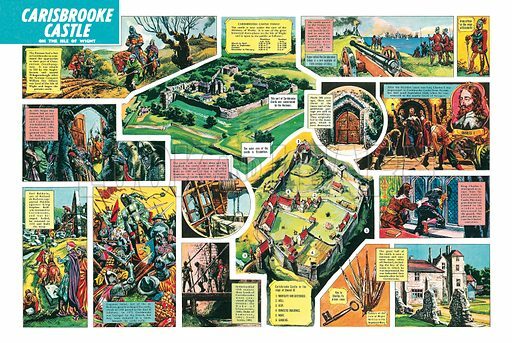 The second picture shows a brief illustrated history of Carisbrooke. 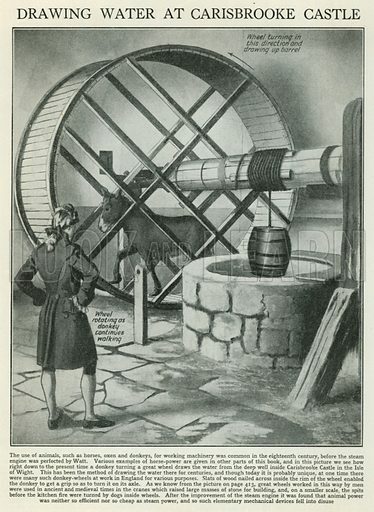 The third picture shows an explanatory image of the famous well at Carisbrooke. 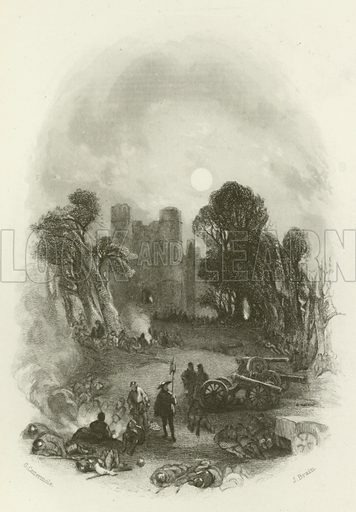 Many more pictures of castles can be found at the Look and Learn picture library. 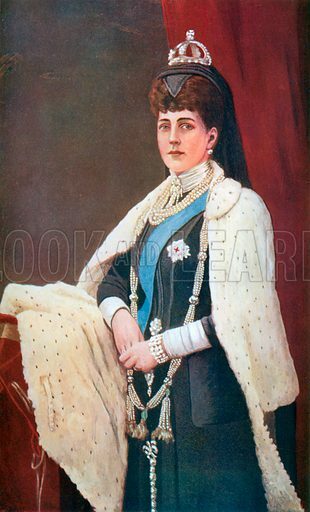 The best pictures of Queen Alexandra are striking portraits of the Queen Consort and Empress of India. The first picture shows a Coronation portrait. The second picture shows a Vanity Fair cartoon. The third picture shows the Queen and her pages at the Coronation. 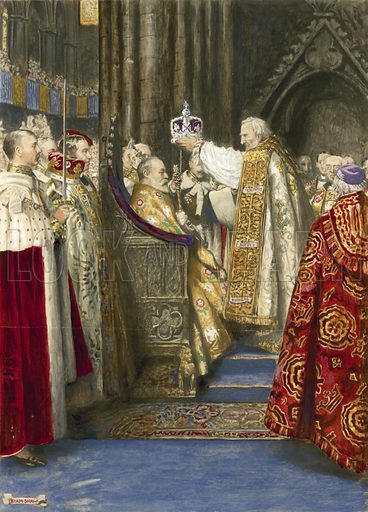 The best pictures of the Coronation of King Edward VII are colourful images of the historic scenes in Westminster Abbey on 9 August 1902. 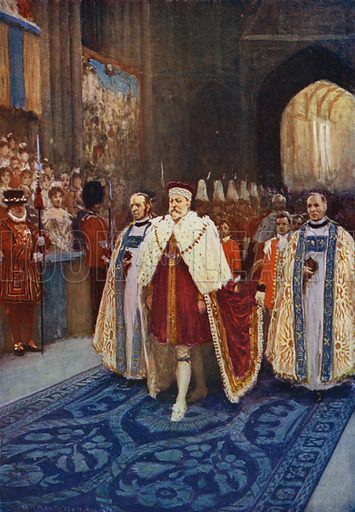 The first picture shows King Edward VII entering the Abbey. The second picture shows the Coronation. The third picture shows a Coronation portrait. 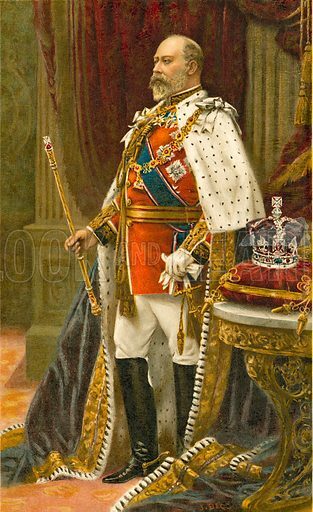 Many more pictures of Edward VII can be found at the Look and Learn picture library. 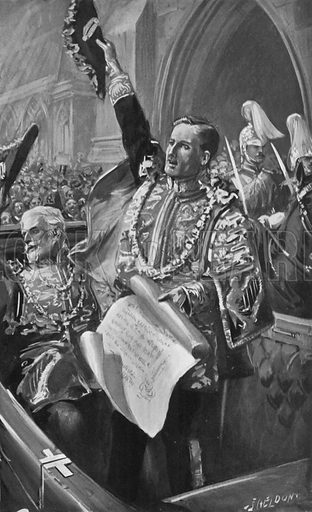 The best pictures of the Proclamation of King Edward VII are striking images of the ceremonial proclaiming of his accession to the throne. The first picture shows the Proclamation at Temple Bar. 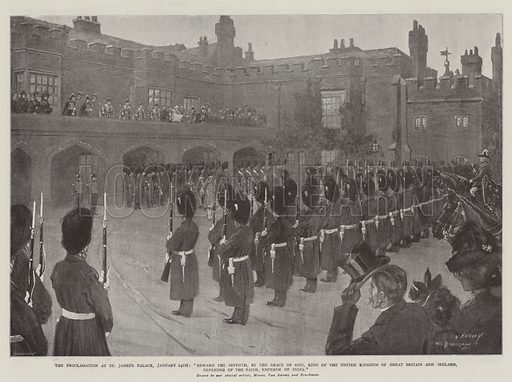 The second picture shows the Proclamation at St James’s Palace. The third picture shows the Duke of Norfolk’s Proclamation from the palace courtyard. 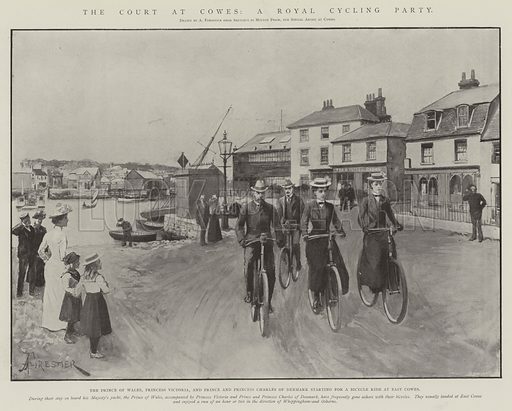 The best pictures of Edward VII’s court at Cowes are vivid images of the Royal family having welcome fun among the charitable visits. 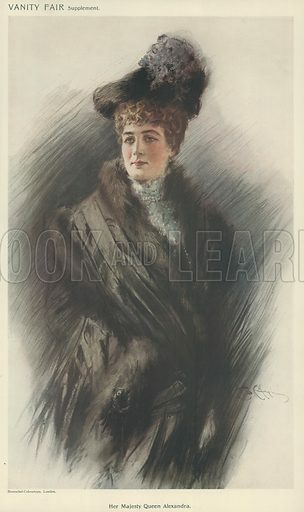 The first picture shows Queen Alexandra making a charitable visit. The second picture shows princes and princesses cycling. 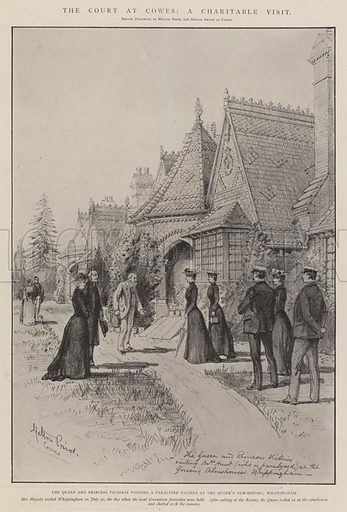 The third picture shows a Royal shopping expedition.